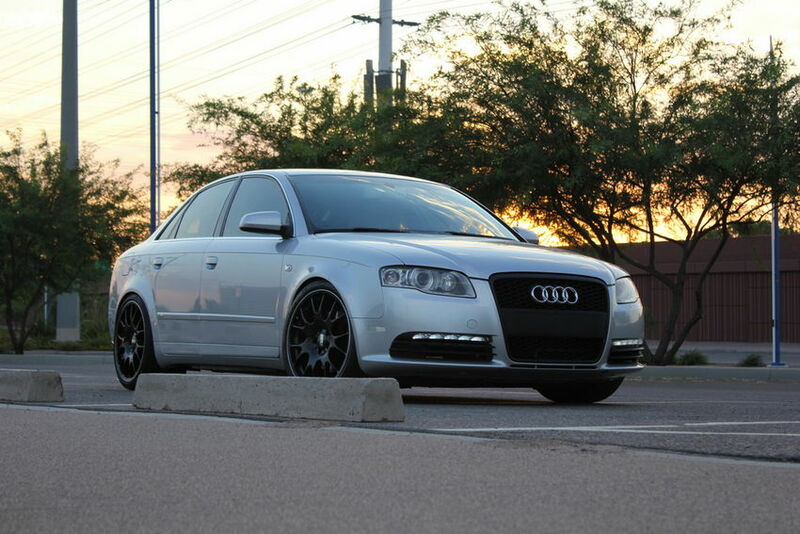 Well, I am still debating whether to get the RS4 or the 034 rear sway bars. 034 is a great reputable company. Now, if I go with the RS4 bar will I be required to get new end links? On the flip side, guys out there that have gone with the 034’s have said they’ve replaced the end links due to breaking the stock ones. Thanks man, I like your clean setup here. 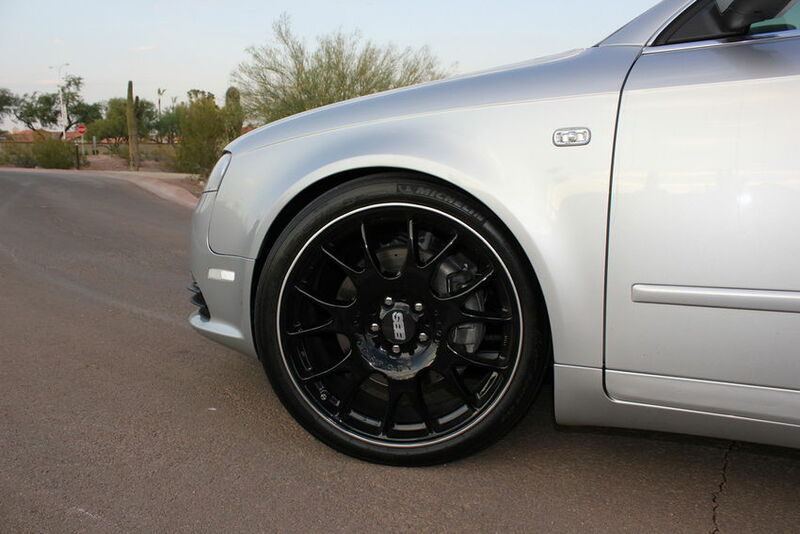 I am thinking on working my way up to some 19’s..at the moment I am running 17 alloys wrapped on Pirellis 235’s. I do not want to fender roll anything like some others have done. Any advice with this regard? Hi Nick where did you bought these headlights from ? 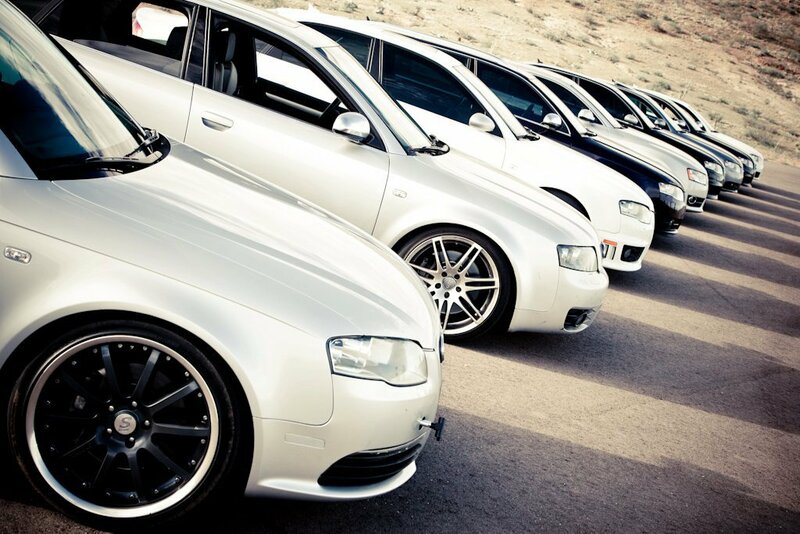 and are they really bright in sun light like, Audi R8? 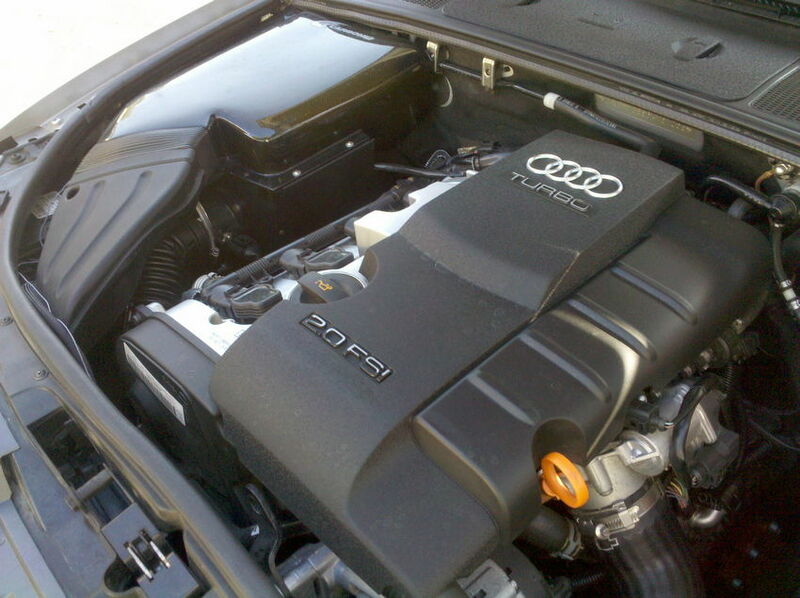 or Audi A4 B8? Hey Nick – I’m planning to swap the stock, non-sport suspension on my B7 A4 for Eibach Pro springs + Bilstein Sport or Koni FSD shocks. The main goal is to improve appearance, but am also looking forward to improved handling without sacrificing comfort. It’s my Seattle daily driver – no track use. Any insight on Bilstein vs Koni? Would you suggest wheel spacers? Yes, stock 17″ 5-spokes. Thanks for the advice – your blog is an amazing resource! Thank you, Ryan, appreciate the kind words! Hi this is EnvyP form NYC. 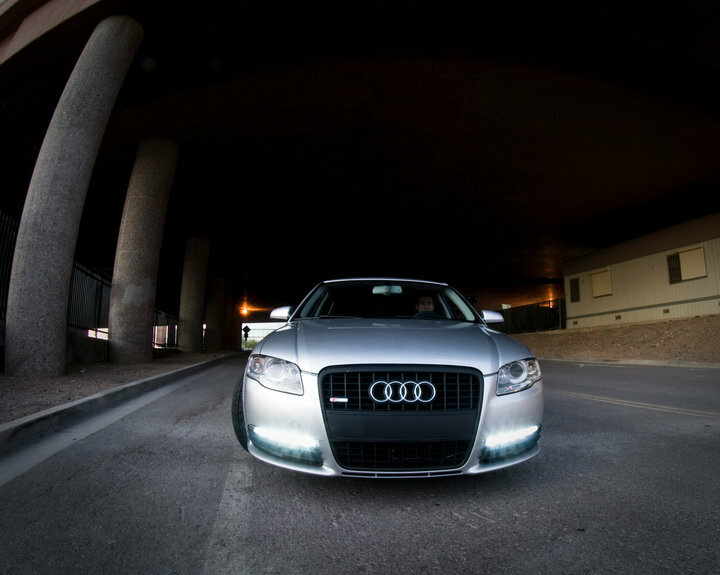 Iam trying to find a Rs5 Grille. Loo. For my A4. B7 convertible. …the RS5 grille is all honeycomb grille with no center piece.. any suggestions or links. Playazenvy28 at yahoo Dot com is my email . Hi Nick fantastic write up. The Car looks the ”Dogs B*ll*cks”( A term used here in East End of London, England ) . The way you had done the mods was fantastic and in great detail. I stumbled across your write up as I’m looking to do a Halogen to Xenon conversion on my 2006 B7. Haha, I’ve never heard that expression before but I love it. Thanks Kalvin! If not, another option is to upgrade to aftermarket headlights, some of which come with LED DRLs in them. I don’t love the look, but they’re getting nicer and nicer. 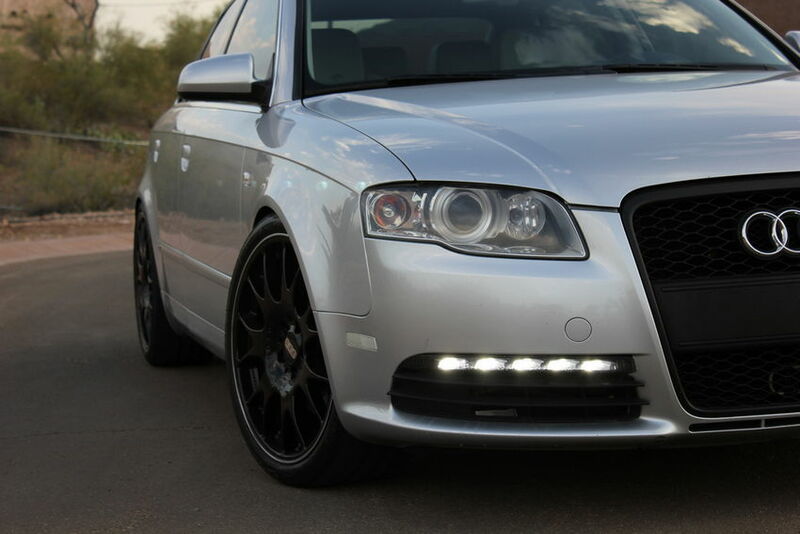 If you just want to keep your stock headlights and just upgrade a few bulbs, then you’ll want to replace the “City Light” bulb which is the same type of bulb (and location) as the xenons in this DIY: https://nickscarblog.com/diy/led-city-lights-diy-for-b7-audi-a4s4rs4 – however, there is no DRL equivalent so you can’t do that retrofit. The other two bulbs are the high beams and low beams, both of which are a H7 bulb. There are aftermarket bulbs that aren’t quite as yellow, but the only way to get a true HID look is to upgrade to a full xenon system that has ballasts, HID bulbs, and projector lenses.